What just happened? Chromebooks powered by AMD processors finally become reality at CES 2019. Acer and HP are first out of the gate with their respective AMD-powered Chromebooks although additional offerings from other competitors haven’t been ruled out. 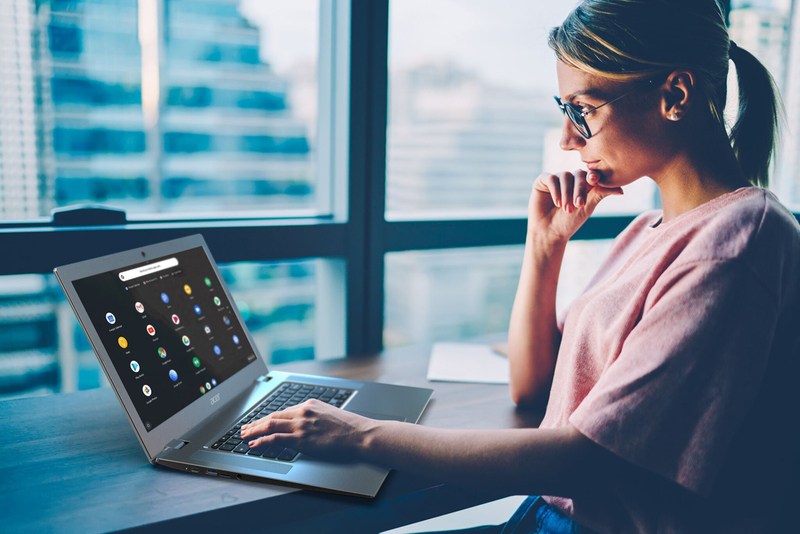 The Acer Chromebook 315 features a 15.6-inch IPS display operating at a resolution of 1,920 x 1,080. It’s driven by your choice of AMD A6-9220C or A4-9120C processor with Radeon graphics, up to 8GB of RAM and 32GB of eMMC storage. The system is rated for up to 10 hours of battery life. You also get two USB Type-C Gen 1 ports – one on each side of the laptop – and 802.11ac Wi-Fi with 2x2 MIMO technology, Bluetooth 4.2, dual USB 3.0 ports and a combination audio jack. The system measures 14.98 inches x 10.09 inches x 0.79 inches and will add 3.79 pounds to your backpack. Look for it to arrive next month starting at $279.99. HP, meanwhile, introduced several new products of its own at CES including the HP Chromebook 14-db0020nr. The HP Chromebook 14 packs a 14.0-inch anti-glare WLED-backlit display operating at 1,366 x 768 and is driven by AMD’s dual-core A4-9120 processor with Radeon R4 graphics, 4GB of RAM and 32GB of onboard eMMC storage (expandable via microSD card slot). HP claims you’ll get nine hours and 15 minutes of mixed usage on a full charge. In terms of wireless connectivity, you get 802.11 a/b/g/ac 2x2 Wi-Fi and Bluetooth 4.2. Other perks include a front-facing HP TrueVision HD webcam with integrated dual array microphones and dual speakers with B&O audio. HP’s Chromebook 14 is expected to ship later this month starting at $269.